Log homes are housing styles that date as far back as 500 years ago. Today, log homes are still preferred by some because of a pleasant lifestyle that these homes can bring. This is without mentioning yet that log homes bring you almost closer to nature. You may have seen a lot of houses built with bricks, concrete, and other building materials. However, log homes still remain a trend in the housing market these days. This is especially true in areas very close to nature like Tennessee and Virginia. In fact, living in a log home can make you feel living hand in hand with nature all the time. Energy efficiency. A log home is around 15 percent more energy efficient than usual homes. Serenity of living. A log home can promote a peaceful and quiet living environment to everyone because the logs are great sound proffers. Dense woods limit the amount of sound transmission inside the house, which can mean a very serene environment for the residents. Fire safety. Logs have natural insulation and resistance to fire. This makes log homes very much recommended for fire safety. 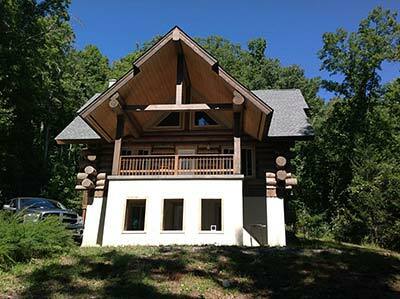 Moreover, log homes provide you flexibility in the kind of lifestyle you want at home. Log homes can be traditional from the outside but its interior can be decorated as modern to promote your modern lifestyle. On the other hand, it can also be traditional both inside and outside to even carry out the theme being offered by building a home with logs. If you want a log home built for you, you are heading towards a great decision. Whether you want to build your own log home or you want to redesign or remodel an existing one, you are on your way towards a good quality investment. However, if you want the best designed and built log homes, hire professional contractors. Experienced log home contractors like Neal Ragan Construction can assure you not just great designs but also durable log homes. Our company is serving the Tri-cities of Tennessee for years. We even have offices in Virginia just to accommodate clients from the state. 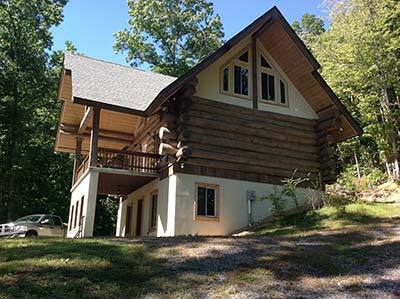 We are one company who can expertly build, remodel, or redesign log homes. We do not just build or remodel log homes, but we basically do the projects at hand correctly. Take note that getting the wrong builder can increase chances of mistakes in the construction process. Moreover, we use only high quality materials to make sure your log home will last. Plus, we employ skilled personnel and use effective techniques all throughout the log home construction project for the best quality craftsmanship. Whenever you need us for your log home construction or renovation project, do not hesitate to give our company a call. Our years in the service and the number of satisfied customers we have can guarantee you great work for your log homes. Contact us now and get a free estimate.